We’re now two weeks after Rapture landed in the app store and it’s been another good week. On Thursday 26th, we were contacted by Apple for some details of the game; they required them ASAP. I wasn’t too sure what to write, but I re-hashed a few bits of stock description and put them into their spreadsheet; along with a few other details. Didn’t expect to hear much, but Thursday evening got an email saying that Rapture was featured on the App Store. I opened by iPad and there it was on the front page – Brand New Games #5. Was a fantastic feeling. I also discovered we were featured in 77 other countries – including the UK, China and Russia. Wonderful to have that sort of exposure. Our rank leaped up the charts in the UK. Our best position on the iPad charts was #1 on Arcade, #2 on Strategy, #9 on All Games and #14 on All Apps on Saturday. Friday we came down off the USA and Canadian front pages. But we also found we’d got a 4.5/5 review from TouchArcade which was fantastic, especially as the game got knocked around a little on the TA Forums for including In App Purchases. The review was very kind regarding those. Downloads have been very good. Not quite as skyrockety as you’d expect from being featured, but the weekend was our highest yet. Downloads are now starting to coming down, but we’re keeping a decent rank in the Strategy and Arcade charts. Hopefully the momentum can keep us there for a few weeks. The user reviews have been quite polarized – people tend to either love the game and give it a 5star review, or hate it and give it a 1star – mostly the complaints are about the game being too fast or too simple. I’ve tried to stop reading user reviews, especially before bed, as it tends to keep me awake 🙂 If you haven’t already, please add a review on the app store, it helps a great deal. We did discover a problem with iPhone 6+ devices where the tutorial text was going off the screen. We quickly got a fix out and Apple expedited it through the review process. It’s now up for anyone that has one of those flexible friends. We’re currently running around trying to get the game into other languages – as well as getting multiplayer ready and looking at what’s involved with Android. We’ve been getting some lovely emails through from people – it’s a nice feeling that people take the time to feedback like that. Please do get in touch at feedback@tundragames.com If we see any bugs or problems, let us know, we’re keen to iron out any glitches. Currently iPhone 6 Plus owners will be seeing some problems with the tutorial – where the textboxes are overlapping the sides of their screens. We have submitted a fix for this with Apple and we’re going to ask them to expedite it through the review process. Normally it will take about 8 days to get through review, but hopefully they’ll get it through quicker. 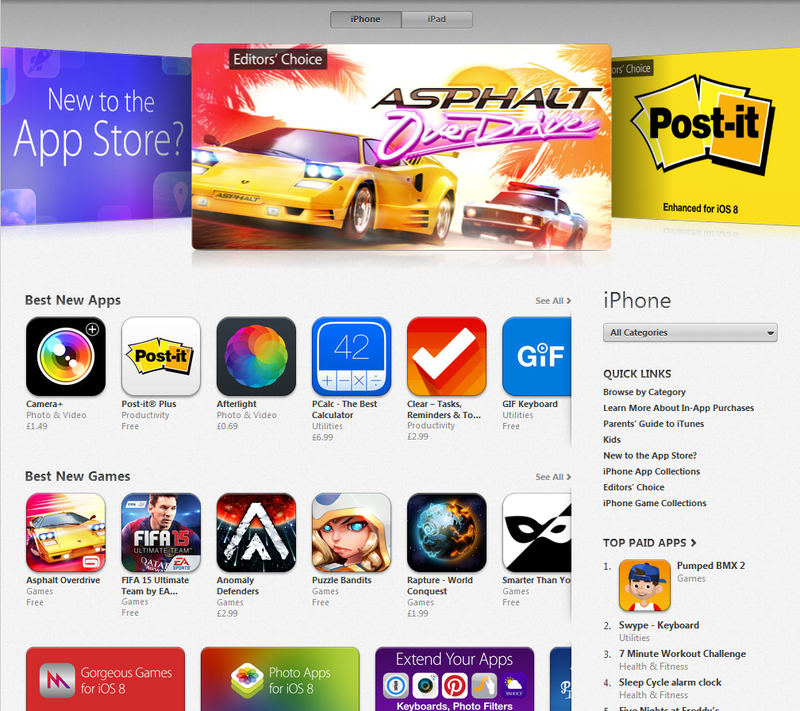 We’re stoked to announce that we’ve been featured by Apple on their Best New Games charts in 77 countries! Take a look, can hardly believe it! It’s particularly awesome to see us on our home country charts in the UK. We’re at 21 overall on the iPad charts, 11 on the Games charts and 2nd on the Strategy charts. The downloads were dropping at the start of the week, so we’re hoping to see a big jump back up. It’s wonderful news for us, it will be fantastic to have the game being played around the world and we’re hoping to get some feedback from players – what they like, what they don’t, new features they would like to see etc. If you haven’t downloaded the game yet, please grab it here and if you enjoy it please leave us a review. Rapture has been in the App Store for a week now, been a bit of a roller coaster for 7 days, but very enlightening, we’ve learnt a lot. We submitted the game to Apple on the 1st September and looked happily at the “Waiting for Review” status. The time dragged on and the game remained seemed stuck with that status. Supposedly the average time is about 8 days, but that came and went and it became hard not to impatiently hit refresh on the browser. Our submission time may have been bad with the release of iOS 8 and the new iPhones possibly dominating Apple’s collective attention. On the 13th the email finally arrived switching us to “In Review” and a few hours later the approval email arrived. I’ll admit that I thought it might stay in review longer with Apple employees unable to put the game down 🙂 But in the end it quickly went through. We had decided to do a “soft launch” – starting the game in a small english speaking territory to double check that it was all fully working – that there was nothing we had overlooked. So the game launched in New Zealand and we both nudged friends and family down under to buy and check the game. Most were asleep when the game appear on the NZ app store, but in the morning, it was successfully purchased and worked. By the 15th there was nothing really holding us back. For me it was like sending your first child to school for the first time, letting them out into the wild world. Would they have the skills to cope out there? With a slightly shaky hand we pushed the game out to everyone. The next day we were hitting refresh for figures. The downloads so far have been reasonable. We somehow managed to get featured on the US and Canadian New Games Chart, which helped give us a slight boost. Most of the start of the week was spent writing countless emails to journalists and websites. The response was surprisingly quiet – we had only a handful of responses. We did however get a news piece on Pocket Gamer and one on a new games list for IGN, both of which were great to see, though it’s hard to know whether that helped sales. We also posted on several forums. The forums weren’t quite so much fun. We were knocked around a bit for having in-app purchases in a paid game. Hardcode gamers seem to take exception to IAPs, even though our title has very light coin pack style IAPs, which don’t affect the game at all. After reading and discussing with people, it seems as though many hardcode gamers feel that IAPs are having a damaging effect on gaming, and that they somehow “dirty” a game. There’s possibly a grain of truth in that, but it stung to have that charge levelled at Rapture. On Thursday we uploaded an update to the game with a few bug fixes and a small change to try and add some balance to the coins you get in game. We also added a new Scottish Civilization to commemorate Scotland’s independence referendum. Perhaps the new civilization will be some consolidation to the Yes voters. We had hoped that it might get picked up by the press, but no luck. Currently the sales are starting to dip down, whether this is after a weekend, we shall see. We’re still hoping for some big reviews to appear and we’re starting work on translating the game into French, German and Spanish (to start with). We’re also looking at Multiplayer and Android in the near future. The initial euphoria is starting to wear off now and it’s heads down again to push some updates. Thanks again for the support we’ve had. And please get in touch if you have any thoughts or feedback. September 19th 2014 – Oxford, UK – Tundra Games Ltd. announces the first update for “Rapture – World Conquest” now with a new Scottish civilization. 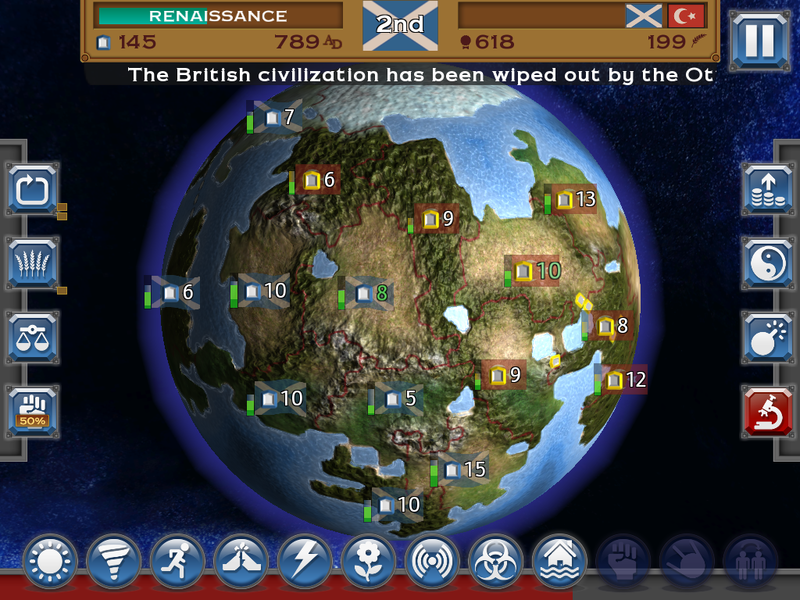 The new playable civ has been added to commemorate the result of the Scottish referendum. Players can now play as the Scots in this god game about civilizations, miracles and destruction. Rapture World Conquest is a real time strategy a god game, where you play a jealous god, intent on wiping out enemy civilizations with devastating miracles and carrying your followers to the heavens. Rapture World Conquest has climbed high in the charts since it’s release on Monday 15th September, reaching the top 5 in the US strategy iPad chart. The game is now available on the app store here: https://itunes.apple.com/app/rapture-world-conquest/id912227668?mt=8 Our trailer can be found here: https://www.youtube.com/watch?v=8ZAEmztaUqs and also via our website – www.tundragames.com. We have promo codes available to journalists, please email dan.c@tundragames.com. Tundra Games is a independent studio based in Oxford UK, made up of industry veterans Andrew Weinkove and Dan Collier. Andy and Dan having worked on many AAA titles including Skate It, Sims 3, FIFA, Madden, Angry Birds Star Wars, Angry Birds Go and Need for Speed. Their detailed bios can be found on the website and in the press kit. September 15th 2014 – Oxford, UK – Tundra Games Ltd. has announced the release of its very first title “Rapture – World Conquest”. Now available on iTunes for iPad and iPhone. The game is a real time strategy conceived as a lightning fast version of Civilization with equal dashes of Risk and Populous. It’s a god game, where you play a jealous god, intent on wiping out enemy civilizations with devastating miracles and carrying your followers to the heavens. Should you risk all on military engagements? On science and technical achievements? Or improve farming to boost productivity? Or perhaps your followers should spend their time praising you, giving you the power to unleash more miracles. Destroy the minions of your rivals and conquer the world before the End of Times. Our trailer can be found here: https://www.youtube.com/watch?v=8ZAEmztaUqs and also via our website – www.tundragames.com. 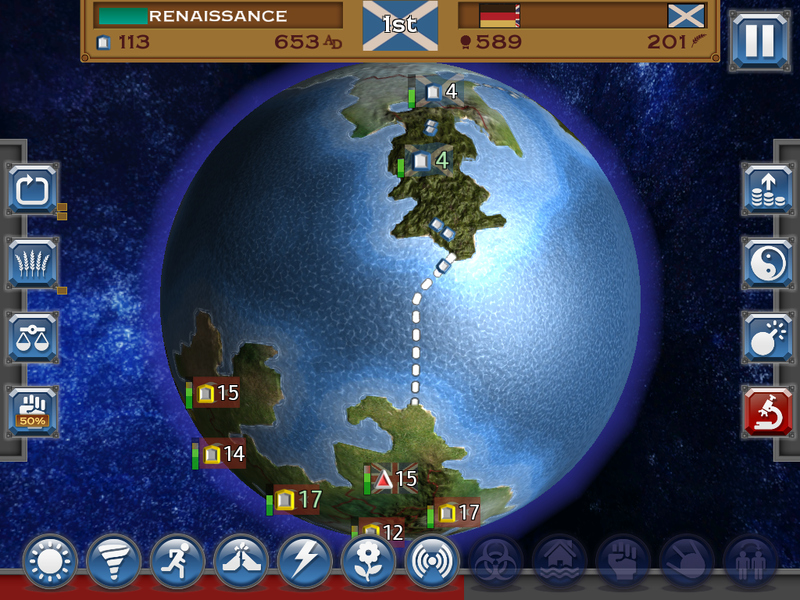 The game is now available on the app store here https://itunes.apple.com/app/rapture-world-conquest/id912227668?mt=8 We have promo codes available to journalists, please email dan.c@tundragames.com. We’re a friendly studio, please feel free to get in touch or chat on Twitter. Tundra Games is a independent studio based in Oxford UK, made up of industry veterans Andrew Weinkove and Dan Collier. Andy and Dan having worked on many AAA titles including Skate It, Sims 3, FIFA, Madden, Angry Birds Star Wars, Angry Birds Go and Need for Speed, and companies such as EA and Roxio. Their detailed bios can be found on the website and in the press kit. The Rapture of the Apple App Store! Get it now and start conquering the globe! If you enjoy the game please rate it on the store and let other people know. We’re counting on word of mouth to shout about us. We’re finally at Apple! Yay! Hopefully Apple will like it and it won’t take too long to be approved; they say 5-10 days. It’s a strange feeling sending off our little game into the big world. It’s been 3 years in development (on and off) and has been through dozens of iterations in the process. It’s going to be crazy seeing the game being played by other people and seeing how they react. Hoping Rapture will be out mid September, watch this space.